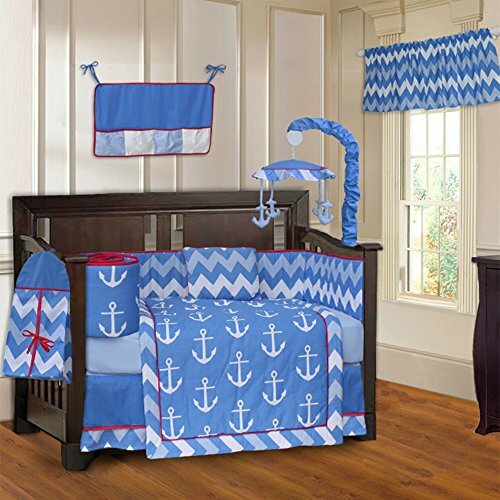 The BabyFad Anchor Chevron Zig Zag 10 piece crib bedding set has a nautical inspired theme. 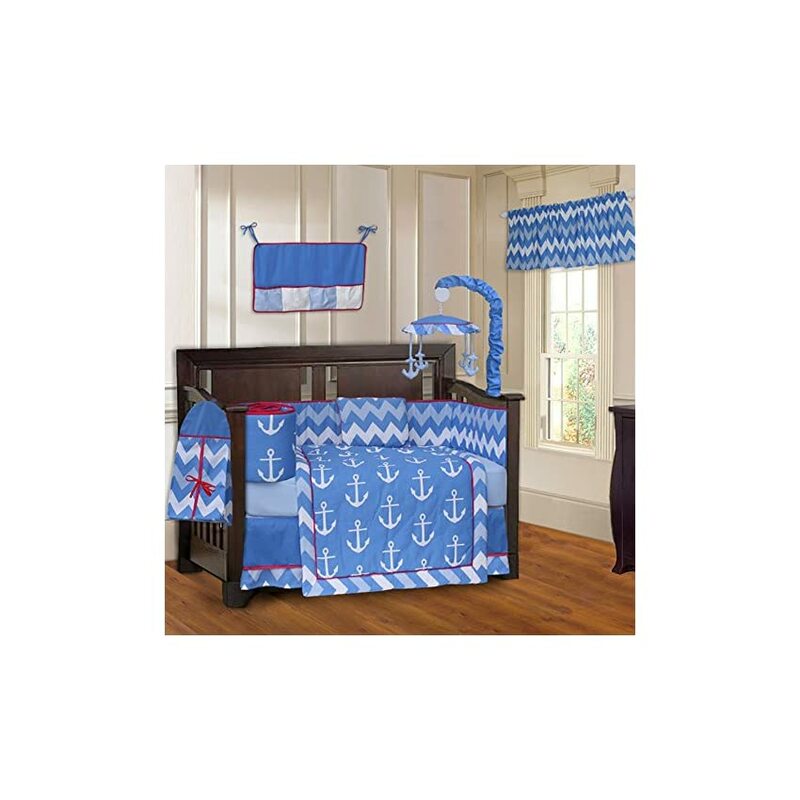 Combined on this set are two highly popular fabrics, a blue Chevron Zig Zag fabric and large Anchors. 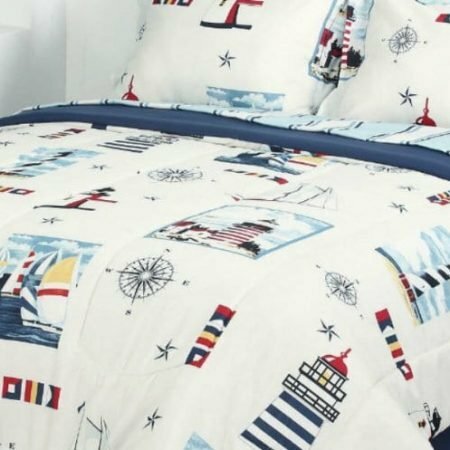 These prints complement every other perfectly and result in a bold, yet handsome crib bedding design that you’re sure to love. 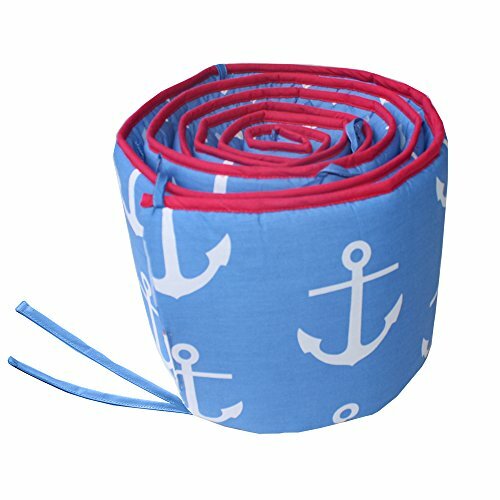 These premium 100% cotton fabrics and brand new design bring together a style perfect for any baby boy nursery. • Crib Quilt (36″ x 45″). 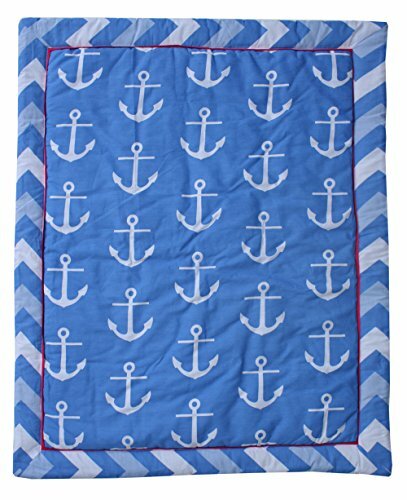 The quilt features BabyFad’s custom Anchor print, trimmed with a Chevron border. 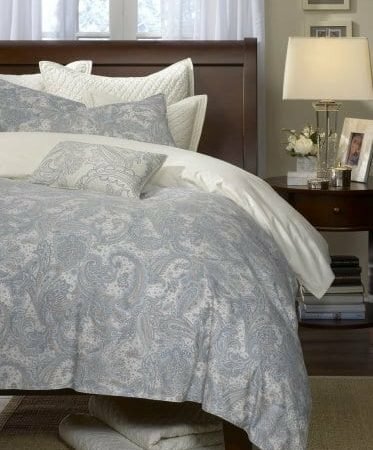 The quilt measures 36″ x 45″ which allows for several years of use before it’s outgrown. 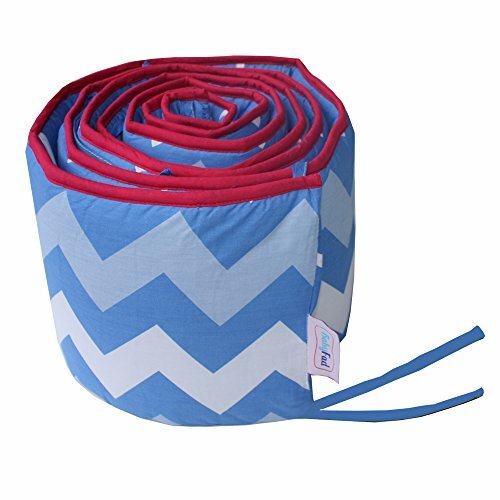 • Crib Bumper (10.5″ x 158″). 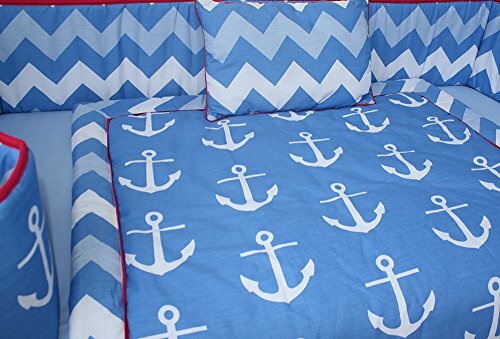 The reversible bumper combines Chevron Zig Zag on one side and the anchor print at the other side. 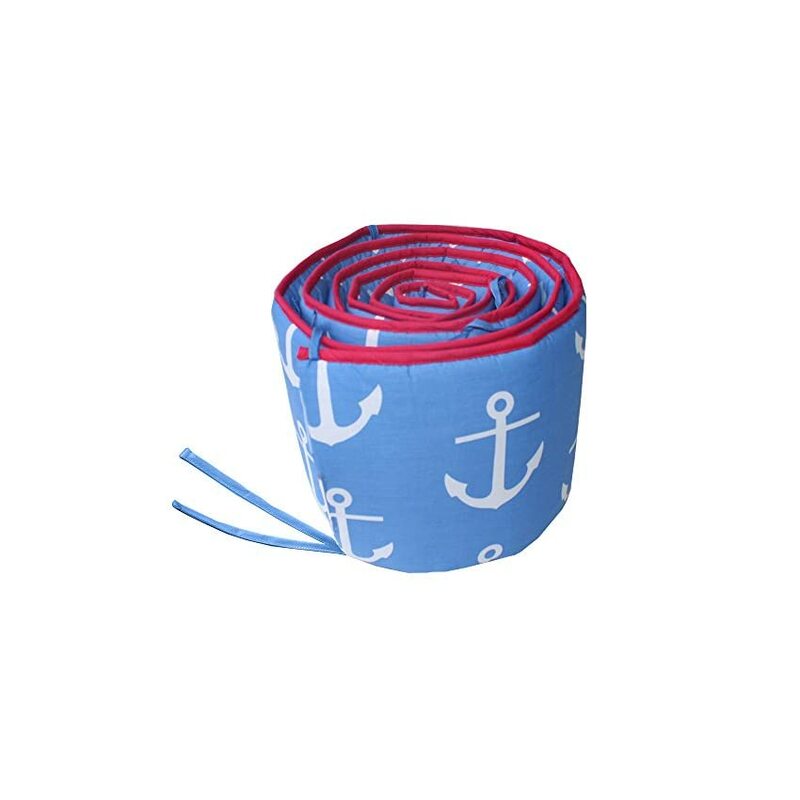 The bumper fabrics are comprised of 100% cotton, easy to setup and designed to fit any standard sized crib. • Crib Skirt (Dust Ruffle). 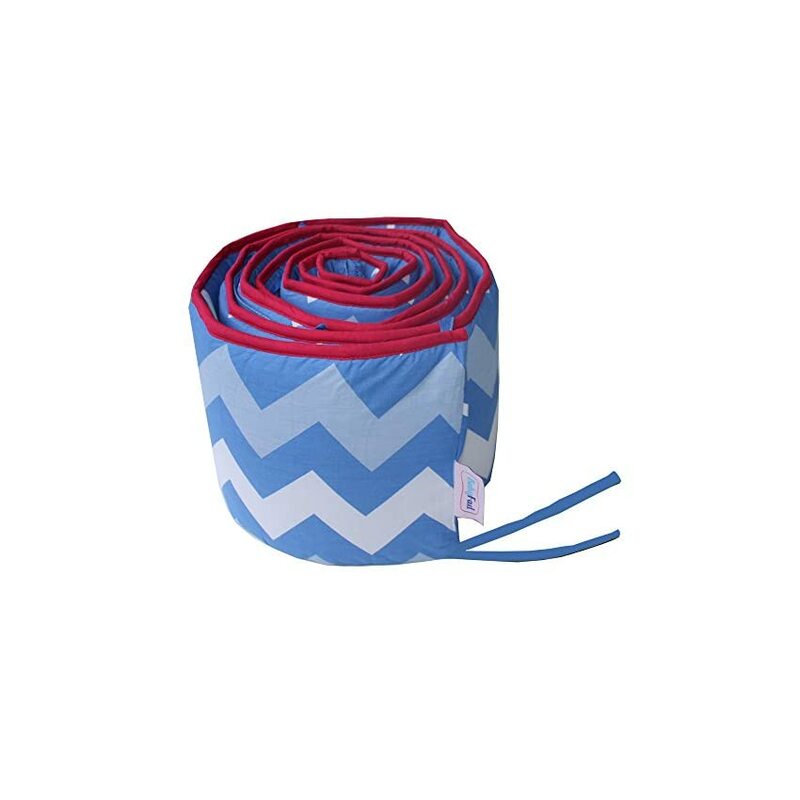 The crib skirt has an 11″ drop and is made with coordinating fabrics. • Fitted Sheet. The fitted sheet is fully elasticized for a snug fit and fits a standard sized 52″ x 28″ crib mattress. The fitted sheet is comprised of 100% cotton providing a soft gentle fabric next to baby’s skin. • 2 Window Valances (38″ x 19″). The valances will dress up the nursery window(s) nicely. Also comprised of 100% cotton, the valances are beautiful and durable. • Diaper Stacker (21″ x 11.5″ x 8″). • Musical Mobile. Saving the most productive for last, this set also includes the matching musical mobile. Your baby entertained for hours with this musical mobile that plays Brahms lullaby.